Today I was sent a video that I had never seen although the date stamp points back to a 2008 fundraiser for U.S. Supreme Court Justice Sandra Day O’Connor. I was surprised by the performer who was Dr. Indrek Laul . I consider Dr. Laul a friend or at least a very good acquaintance and was a little embarrassed that I was not aware of his musical talent to the extent that this video shows. See the video below. It is the full composition by Gershwin so it is about 13 or 14 minutes. Even if you can’t watch the entire video, bookmark it and come back to it – you will want to experience the last 3 minutes. I am not a professional critic but I will tell you that this was an amazing performance. “Do what you love and you will never work a day”? Well, let me tell you. This may work for some but it certainly doesn’t work for everyone. However, I must tell you that I really do consider myself a very fortunate guy. Not only do I work with people that I respect and love, but, I also work around my very favorite instruments. 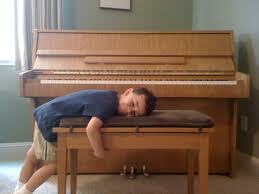 I have been in love with pianos since I was a kid. But it is WORK. I don’t know when I would have been through a whole day without having to email a customer, call a customer, visit a customer or do some blogs, or maintenance on the website. I mean what else could a man ask for right? 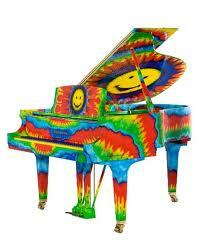 I love to see pianos, they make me smile and I enjoy the customers, they also make me smile. I am a lucky, lucky man. When I go to work in the mornings at my little piano store on the central coast of California, I actually enjoy walking through the doors. Of course, the store is not that busy and I’m not overcome with work. Some days are more difficult than others. I write blogs for several different people and do a lot of social media work for piano companies and piano stores, but, I enjoy simply reading about pianos and seeing what is going on in the piano industry. I wish everyone could experience this type of love for their jobs. The world would be a different place if everyone loved what they do as much as I do. It’s seldom that you have the opportunity to meet and become friends with someone that you consider a “star”. I have known a few celebrities in my life, the occasional chance meeting of someone that you see on T.V. or read about in the newspapers, etc. With that being said, I just want you to know that I am completely aware of the fact that I am weird and a little twisted when it comes to the piano business and piano people. 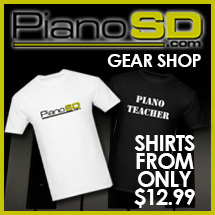 Which Piano Should I Own ? This question is among the most asked questions that I get on the sales floor. Here’s my response. PICK THE ONE YOU LOVE ! What a great idea. I got this link today and after investigating the group I learned that these guys actually choose a place to play, go in and have some pretty cool little concerts and venues. Of course it’s all classical music and well presented. Take the time to watch this and if you have the chance to do this, it is a nice promotion. I really believe with all of my heart if we all pull together and do things like this in unexpected places. We all have the power to make powerful influences within our personal circles. Our piano teacher and piano tuners also have powerful influences.